Birmingham Reader Development Office is pleased to announce its next event with thriller writer Gerald Seymour in conversation with Birmingham's Book Festival's Artistic Director, Jonathan Davidson on Friday 25 September. GERALD SEYMOUR spent fifteen years as an international television news reporter with ITN, covering Vietnam and the Middle East, and specialising in terrorism across the world. Seymour was on the streets of Londonderry on the afternoon of Bloody Sunday, and was a witness to the massacre of Israeli athletes at the Munich Olympics. Seymour’s first novel was the acclaimed thriller Harry’s Game, set in Belfast. He has since written twenty-four more bestselling novels, of which six have been filmed for television in the UK and US. Gerald's new book THE COLLABORATOR, out in September is a gripping edge of your seat thriller set in Naples. Taut, brutal and shocking, THE COLLABORATOR is Gerald Seymour writing at the top of his game with a new novel about this deadly Naples crime network. For generations, the Borellis have been a part of Naples … a vicious and completely amoral part. They are a clan of the Camorra and legendary in their ruthlessness - their stranglehold on people and businesses in their area is without mercy and when a person steps out of line there is no forgiveness. Even when that person is part of the family. Sicily has the Mafia … Naples has the Camorra. This event takes place at Birmingham Library Theatre on Friday 25 September 2009 at 6.30pm (for a 7.00pm start). Tickets (free) via the Box Office on 0121 303 2323 or online via www.birminghamboxoffice.com. 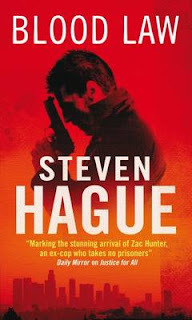 Euro Crime will be posting a review of The Collaborator nearer to the publication date of 17 September. Gerald Seymour's bibliography (with links to reviews) can be viewed here. There's a little time left to enter the three competitions running this month; the prizes are: The Third Pig Detective Agency by Bob Burke, Relics of the Dead by Ariana Franklin and Blood Law by Steven Hague (some restrictions apply). 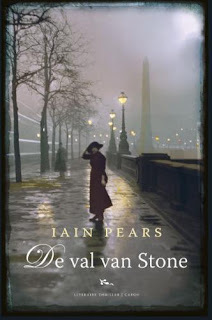 Maxine Clarke reviews The Darkest Room by International Dagger nominee, Johan Theorin and calls it "a wonderful book"
and Pat Austin has mixed feelings about Peter Tickler's Blood on the Cowley Road the first in an Oxford set police procedural series. Thanks to publishers Quercus, yesterday, Maxine (Petrona) and I, with some familiar faces from crime fiction reviewing joined several hundred horror fans to watch the English-subtitled premiere of Millennium I: The Girl with the Dragon Tattoo at the Film 4 Frightfest in Leicester Square. 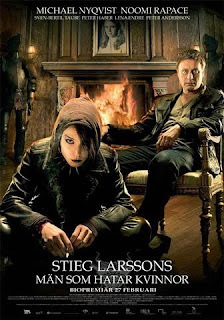 An excellent job has been made of getting to the heart of the book, cutting out some of the romantic subplots and making the most of its two main characters Mikael Blomkvist and Lizbeth Salander. What's left is a taught thriller/who-dunnit with the pair working together to find out what happened to Harriet Vanger who disappeared, thought killed, over 40 years ago. Though long, the story never drags and the performances are superb. The locations matched well with my visualisation from reading the book with one exception - the size of the bridge that isolates the island. In the film it's huge and I had imagined a little humpback bridge! I'd be interested to hear what people who haven't read the book already thought about it. The audience seemed to enjoy the film and were rooting for Salander in a couple of the more horrific scenes where she takes her revenge. The trailer can be found here on IMDB. More on the series of films can be found on the production company, Yellow Bird's page. The film will be released in the UK next Spring. Also, read the Euro Crime review of the book, here. Brand new to BBC Three, Harper's Island brings murder and mystery to the channel. The series pushes the boundaries of traditional television with frightening, tense and exciting drama that will keep the viewer riveted. A secluded island off the coast of Seattle is the scene for a week-long wedding celebration attended by a group of family and friends. But amidst the festivities, a murderer begins claiming victims one by one, transforming the occasion into a terrifying struggle for survival. Over 13 episodes, Harper's Island will unravel a twisted tale of murder and revenge as these wedding guests – each with their own motives, fears and desires – attempt to find the killer (or killers) before they strike again . Join International bestselling crime writer, Val McDermid, who has sold over one million copies in the UK alone and over 10 million copies worldwide. Her novels have been translated into twenty six languages across the globe and she has won numerous international and UK literary awards. The Tony Hill and Carol Jordan series has enjoyed tremendous success including being adapted for the award-winning ITV drama, Wire in The Blood for six series. Fever of the Bone is the latest exhilarating instalment of the escapades of the clinical psychologist and Detective Chief Inspector and yet again takes the crime fighting duo into uncharted waters. Val McDermid has become our leading pathologist of everyday evil… The subtle orchestration of terror is masterful The Guardian. ‘Making Crime Pay’ - A hands-on workshop led by successful crime writer Kate Charles. Kate reveals a few of the secrets of getting published - but come prepared to work hard. Bring a notebook and a pen! 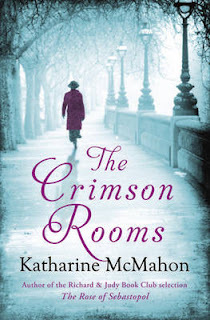 Kate Charles, a former Chairman of the Crime Writers’ Association and the Barbara Pym Society, is the author of eleven crime novels set against the colourful historical backdrop of the Collegiate church. Her current series features London curate Callie Anson and explores issues ranging from gay bishops to the role of women in the church. Kate’s latest novel, Deep Waters, is a fascinating and timely look at celebrity culture. Fundraising event for the church. Tickets will only be available from the St Mary’s Church shop, Warwick Books or by calling 01926 773637. Limited tickets will be available on the door. Deep Waters by Kate Charles was published last March. Seaweed in the Soup by Stanley Evans is published in February. Individual events are £8, day tickets are £35. Other authors appearing include Kate Adie, Mavis Cheek, David Starkey and Alison Weir. The full programme can be found here. 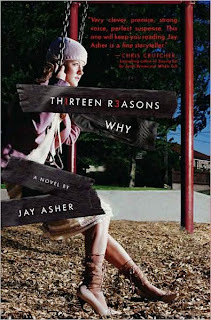 I have just posted a review of Thirteen Reasons Why by Jay Asher over on my Teenage Fiction blog. This is a psychological thriller revolving around the after-effects of a suicide. This one's aimed at older teens and upwards. It's very gripping and extremely thought provoking. 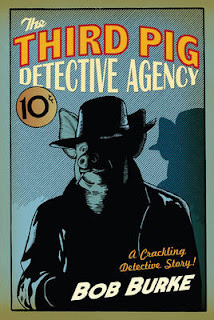 There are three competitions running this month; the prizes are: The Third Pig Detective Agency by Bob Burke, Relics of the Dead by Ariana Franklin and Blood Law by Steven Hague (some restrictions apply). and Norman Price writes very favourably of The Einstein Girl by Philip Sington. I've now reviewed this on my Reading Teenage Fiction blog though this title can equally be classed as an adult book. Win a copy on the Euro Crime website. Set amongst the cheerless outlying neighborhoods of Reykjavik, Icelandic filmmaker Baltasar Kormakur's taut, cerebral police thriller from a novel by Arnaldur Indridason is additionally an eerie exercise in sense of place. Depressive detective Erlendur (Ingvar E. Sigurdsson) is investigating what he describes as "a typical Icelandic murder: messy and pointless." However, linkages soon arise, prompting him to delve into the mysterious death of a little girl two decades earlier. The FAQ explains more about the Sundance Channel and how to get it (ie via satellite television and cable television). 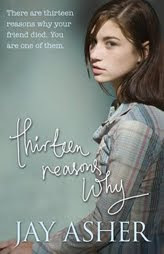 If you have an interest in young adult/teenage fiction then you might like to take a look at my other blog Teenage Fiction for All Ages where today's Sunday Salon post summarises the previous week's posts. Fox's penthouse apartment is sinking closer to the floor, with the returning of several Tesco's fruit boxes, however a late addition of a parcel box has left him still a couple of feet off the ground. The Euro Crime News page (currently hosted on FriendFeed) has been updated with links to reviews from the last week. The production company behind drama Wallander hopes to replicate the success of the Swedish detective by launching two new television detectives on BBC1 and ITV1. Left Bank Pictures, run by The Queen producer Andy Harries, has had scripts commissioned for three Aurelio Zen mysteries, written by the late Michael Dibdin, for BBC1 and one Inspector Banks drama, written by Peter Robinson, for ITV1. The Zen mysteries are set in Italy and feature a middle-aged detective who in the early novels lives with his mother in a Rome apartment. Ratking is being adapted by Peter Berry, Vendetta by Simon Burke and Dead Lagoon by Patrick Harbinson. Robinson's 2002 novel Aftermath – one of 16 Inspector Banks mysteries – is being adapted by Robert Murphy for transmission next year. The film will feature detective chief inspector Alan Banks, who lives in the Yorkshire town of Eastvale. Divorced with two children, he works from the local police station overlooking the town's busy market square. It is hoped the two detective mysteries could become long-running franchises. 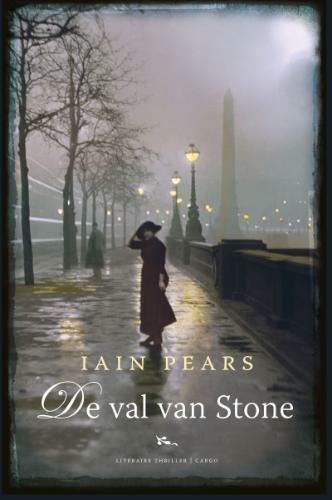 Recently we've had Vargas's first Adamsberg (The Chalk Circle Man) and Nesser's first Van Veteeren (The Mind's Eye) published after a number of later entries in the series have been translated. And now it's the turn of DCI Erik Winter...Penguin US are publishing Ake Edwardson's first Winter novel - Death Angels on 29 September. Synopsis from amazon.com: A long-time number one bestseller in his native Sweden, Åke Edwardson’s profile was conspicuously raised when his novel Frozen Tracks was chosen as a finalist for a 2008 Los Angeles Times Book Prize. Until now, however, the novel that launched Edwardson’s critically acclaimed Erik Winter series has never been available in the United States. With a new series translator who fully captures Edwardson’s signature atmospheric style, Death Angels is America’s introduction to Sweden’s youngest Chief Inspector as he teams up with Scotland Yard to solve the mysterious parallel killings of young British and Swedish tourists. Richly evocative of mid-nineties South London and Gothenburg, Sweden, Death Angels is a brilliant opening to a mesmerizing series that has become a phenomenon in international crime fiction. The translator for Death Angels is Ken Schubert. Laurie Thompson has translated the three already available. My bibliography for Ake Edwardson is a little out of date as I hadn't realised this was #1 in the series. I've got the latest edition of Doctor Who Magazine and it reveals that "the next 'audio original' title, The Day of the Troll by Simon Messingham" is to be read by David Tennant. This is his first since Pest Control. The audio book will be released on 8 October 2009.
and Terry Halligan praises Jacqueline Winspear highly for her latest Maisie Dobbs outing, Among the Mad. (Compared with 10 out of 63 copies still available of The Host by Stephenie Meyer). You can see Fox in a Box part I here. This edition of Disgrace was published in 1999. The Crossroads was published in January and Summertime is out in September. 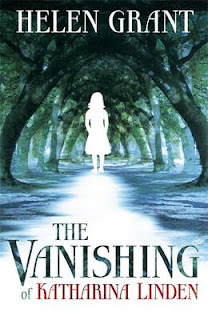 I've recently reviewed the young adult book, The Vanishing of Katharina Linden by Helen Grant, on my other blog. Though the protagonist is only 10/11 at the time of the events that occur, it is her older 17/18 year-old self recounting events. It's a crime novel, set in Germany and if you liked the chapters narrated by ten-year-old Kate Meaney in Catherine O Flynn's What Was Lost, you will probably enjoy this one. I certainly did and found it to be well written with an engaging lead and the German traditions added to the interest. The latest edition of the Simon Mayo's Book Review podcast - hosted by Richard Bacon this week - reviews The Monster of Florence by Douglas Preston and Mario Spezi -the 'true crime' story of Italy's notorious serial killer. Interestingly, none of the panel had heard about the story before. The Euro Crime review, posted in January, is here. One of the senior policeman in the case, Michele Giuttari, now writes a crime series set in Florence and his bibliography is here. The books podcast can be downloaded or listened to here. 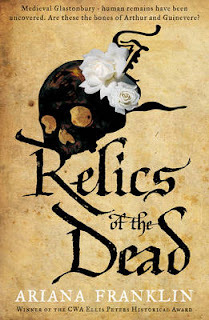 Three new competitions for August, prizes are: The Third Pig Detective Agency by Bob Burke, Relics of the Dead by Ariana Franklin and Blood Law by Steven Hague (some restrictions apply). and Laura Root has another enjoyable excursion into pre-revolutionary France in the third of the Nicolas Le Floch series by Jean-François Parot, The Phantom of Rue Royale.